As spring turns into summer, we begin to spend more time in our rural abode in the Catskill Mountains of New York State. More of my posts will be from there this summer. We have a trailer from the seventies that is just the size of a New York City apartment set on a wide meadow surrounded by a pine forest. We are off the grid with no electricity or running water. I call us people of extremes, equally comfortable at both edges of city and country. The hay in the back meadow is as high as my waist. We have not been here for three weeks and nature has encroached on us from all sides. My mind is on the little nest of newborn robins. It was sitting right on the bannister of the porch inches away from the front door. Inside were three newly hatched baby birds. 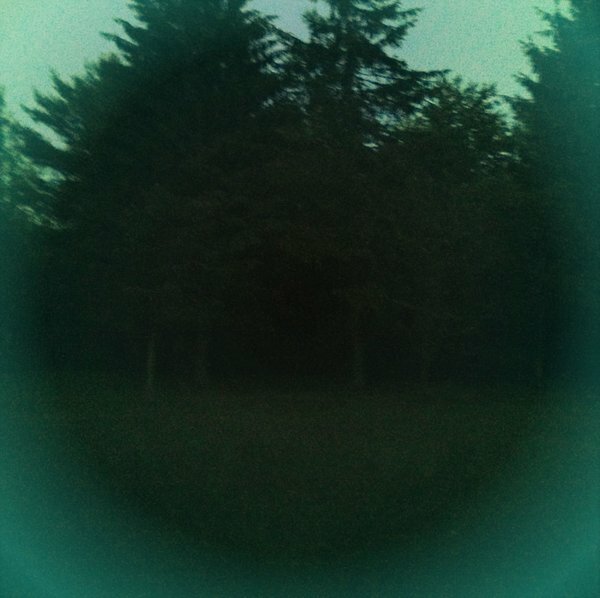 They were naked with only tufts of bright yellow fluff on their heads and their eyes still shut under bulging blue lids. I peer inside the nest and they sense my presence. They blindly stretch their necks out and open their yellow-rimmed beaks towards me to be fed. I think we must move the nest. I cannot imagine that the mother will sit on it inches away from the opening and closing of a front door and at waist height of the back and forth of humans and dogs. I decide to move it to another bannister just a little further away from the front door with the hope that the mother will feel safe enough to continue tending her nest. We see her flitting from one branch to another crying piteously. We shoo the dogs into the house and decide to go into town early to give the mother peace and quiet so she can find her nest. Once in town, I call Oona, who knows a lot about animals after having watched countless hours of Animal Planet. She thinks we did the right thing and that the mother will find them. Frank says that the nest is not secure on the new bannister and will blow over in the wind. He wants to hammer some nails into the bannister to create a support system. I think that will scare the mother more. Over dinner, we argue the merits of over wire versus nails for a nest supporting system. I think about how involved we are in what is such a small matter when you think about the suffering in the world. But, you can’t help but respect the maternal instinct no matter whose it is. And, we want nature to succeed. When we return, Frank peers into the nest and says, “They are almost dead.” The baby birds do not make it. She picked a bad spot. Maybe she was a new mother without experience, that she would build a nest so low and within a human structure. Later, I read that mother robins have “nest fidelity” which means that they memorize their nest as they build and if you move it, they will not recognize that nest as theirs. It is now 8:30pm and it is still full light out as we approach the summer solstice. There are two robins in the grass outside my window. I watch them hopping around hunting bugs. They fly off in the direction of where we relocated the nest. Maybe they will try again this season. It is still spring. UPDATE: Two weeks later we return and see a mother robin sitting on a nest under the eave of the shed. She is sitting on an old nest that had been there unused for at least a year. I think it is our mother robin. 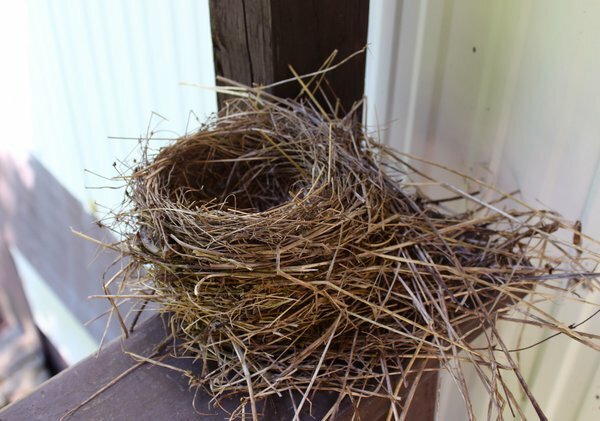 I think that she used the old nest because she did not have time to build a new one. This time, she is successful. This entry was posted in family life and tagged robin nest by ileana. Bookmark the permalink. All hail summer beginnings, maternal instincts and missteps. But wait, no running water or electricity but you have Wifi?! great comment. We go to the town library for internet.